I just got this great set of coffee from Two Rivers LLC. This is a great set of coffee. You get a ton of different kinds. 40 different K-Cups (4 of each butterscotch swirl, chocolate marshmallow, mint chocolate chip, and Vienna mocha chunk). 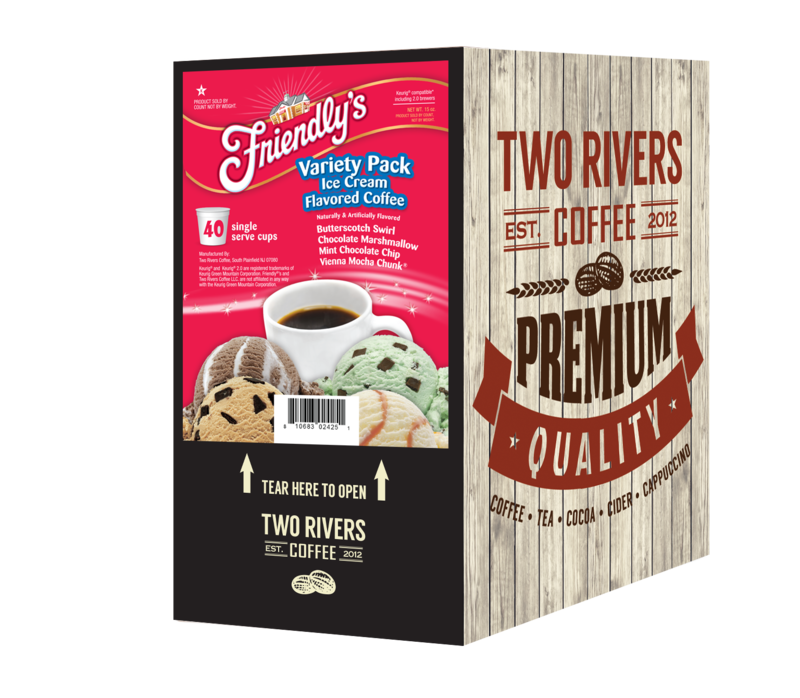 These are really fun flavors that they have designed after favorite Friendly’s ice cream flavors. They do actually taste really good too, if you like flavored coffees this is a fun one. My favorite was the mint chocolate chip flavor. These are K-cups so you will have to have a coffee machine that is compatible with them. It says on the box that they are compatible with Keurig but our Keurig didn’t recognize them, I don’t know if it’s our model or what. We have a freedom clip though and they worked with that. So I’m not sure why we had problems but it worked out. They have a great flavor and are a fun way to spice up your morning coffee.